Trust Dr. Porter and the team of chiropractors at Functional Chiropractic to provide chiropractic services that relieve pain and provide comfort. Our chiropractic services keep patient’s spines healthy and their posture correct in order to restore balance and heal pains. Dr. Porter began Functional Chiropractic after studying Exercise Science. He received chiropractic care himself and wanted to be able to provide this same level of care for others experiencing similar pains in their back. Functional Chiropractic provides chiropractic treatments to the Hazel Green community to provide relief for individuals with back pains. Our chiropractic treatments are based on years of experience and education in the chiropractic field, and many of our chiropractors have had to undergo this type of treatment themselves. We take pride in providing a comfortable environment for each of our patients and a chiropractic treatment plan that provides relief and comfort from pains that other treatments can’t cure. Each of our chiropractic treatments begins with an initial evaluation to determine the areas of pain and the best treatment plan for the patient. 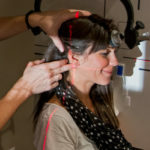 We’ll discuss what you can expect from the treatment and answer any questions you may have to ensure that you feel confident in the treatments we provide. Many people struggle with headaches, back pain, neck pain, sports injuries, or even pregnancy pains and struggle to find a treatment for relief. 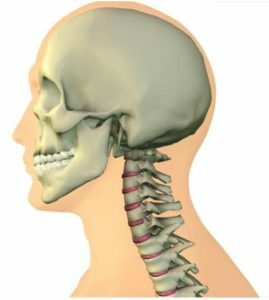 Often times an upper cervical issue is the cause of these pains and treatment from an upper cervical chiropractor is the best solution. Upper cervical care focuses on the upper neck where blood vessels and nerves provide a communication channel between the head and rest of the body. Often times when this area becomes misaligned, pain occurs in other areas of the body due to a lack of communication with the blood vessels and nerves. Upper Cervical Chiropractors focus on realigning the upper cervical area to relieve pressure and pain from other areas of the body. Athletes can find increased mobility, pregnant women can find back relief, and individuals with chronic pains can find reduced pain from upper cervical chiropractic treatments. The gentle upper chiropractic treatments from the team at Functional Chiropractic restore balance to the upper back and neck and allow individuals to live a more active, pain-free life! 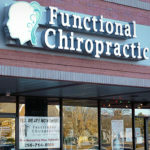 If you’re looking for a chiropractor in Hazel Green AL, contact Functional Chiropractic! Our upper cervical chiropractic care serves people in the Hazel Green Alabama area who experience a wide variety of pains and strains that modern medicine can’t resolve. Athletes, adults who sit down for a majority of the day at work, pregnant women, and individuals with chronic aches visit our office to experience the benefits of our chiropractic care! Dr. Porter and the team at Functional Chiropractic are proud to be known as the chiropractor Hazel Green AL can trust. Call us today to schedule an appointment and to learn more about how our chiropractic services can help you!